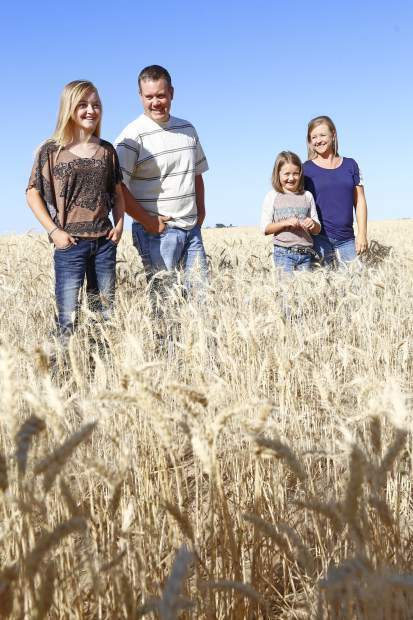 From left to right: Macey, Justin, Sydnee and Amanda Lauridson stand in the familyâs wheat field in Brighton, Colo. The animal pens, booths and stands at Island Grove Event Center are more than they appear — they set up a social space for Lauridson kids. The youngest, Sydnee, 8, said she and her friend, Carson, check out the booths and items for sale. That, and pick on Carson’s older brother. And Sydnee isn’t the only Lauridson who enjoys play in the family’s downtime. Justin Lauridson, her father, said he loves watching the fun times the kids have. Justin mentioned a time at a show when some of the 4-Hers threw water at one another. 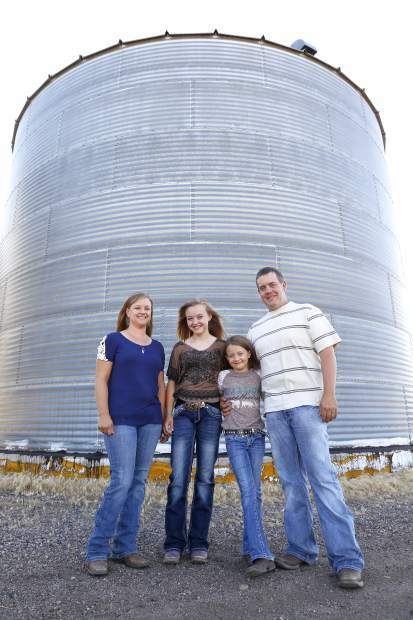 He turned to his 13-year-old daughter, Macey. She was grinning. Macey was the one who started the water fight by dumping a bottle onto a friend’s head. Macey said they chased each other, continuously squirting water throughout the grounds. And as either Lauridson girl is off running and playing with their friends, Justin and mom, Amanda, don’t have to worry about where they went. Having friends and family at the county fair means eyes can and will be on the girls. 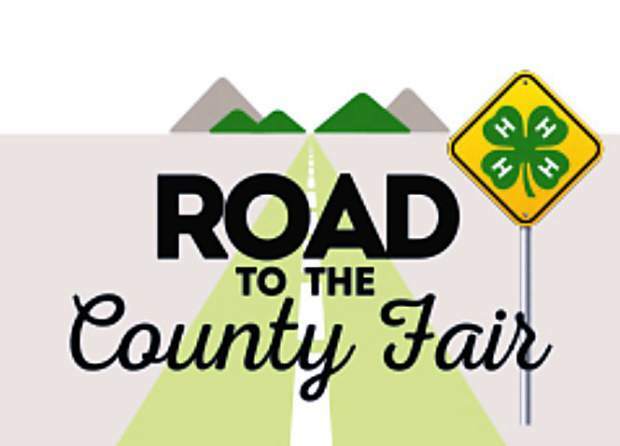 And it’s not strictly people around the fair who are like family — it’s those who help the girls’ participate in 4-H. The family doesn’t stick to local farmers to purchase their animals. 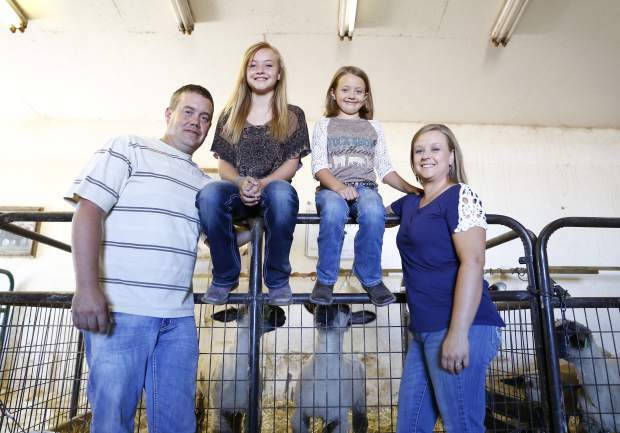 Some actually come from Illinois, so the family makes it a point to travel out to pick up the animals. They don’t travel much for fairs and shows, as they stick to the local fair and jackpots. 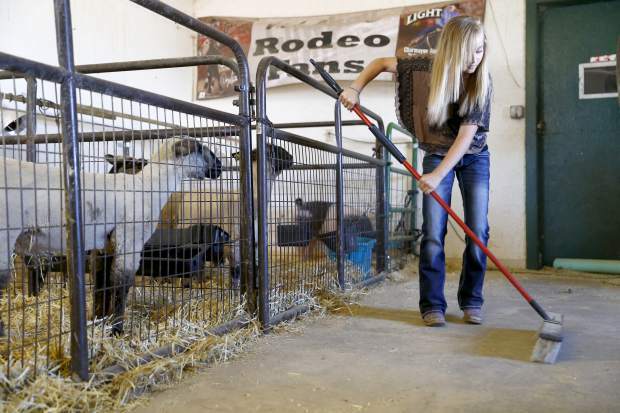 But they do travel to the Colorado State Fair in Pueblo where Macey — and hopefully Sydnee — will soon compete. Sydnee said she just sleeps — the 4 a.m. departure time doesn’t sit well for her to start her day. But traveling gets the family together. Plus, for Amanda, it’s time the family gets to spend together away from home.